Love me some Uncle Weed! one of my favorite potcasts! entertaining and informative. makes me miss hanging out in BC, can't wait to get back. keep up the good work dave!! We found Uncle Weed's podcast after returning to the US from our first trip to Vancouver, B.C. Some places are great to visit, but you wouldn't want to live there. Vancouver is different. From our first day it became our home in our hearts. Listening to Uncle Weed brings back all of the best memories of Vancouver. The unforgettable droning of the seabus or the clink and clatter of the sculpture outside of the science museum along with his easy Canadian accent is an audio treat we look forward to and relish every episode. 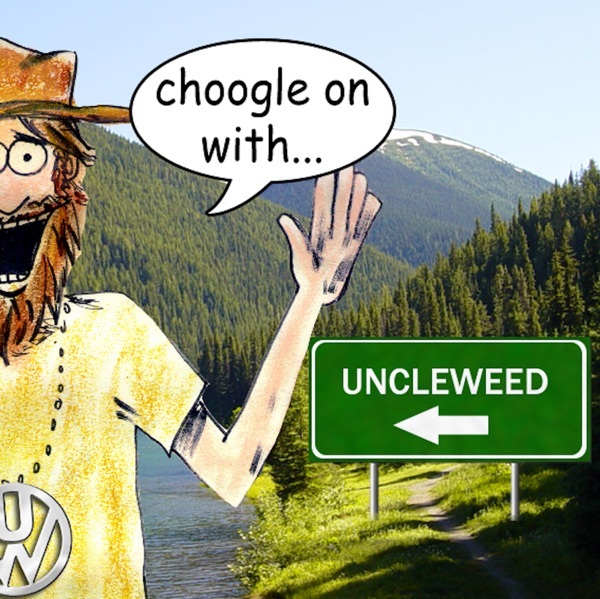 Uncle Weed also visits places we haven't seen, but his descriptions and edutainment style bring the sights to life. I learn something new every episode. True to his name, he also describes his refreshments in tantalizing detail prompting Pavlovian responses. :) All in all, a great listen- highly recommended. Choogle On!